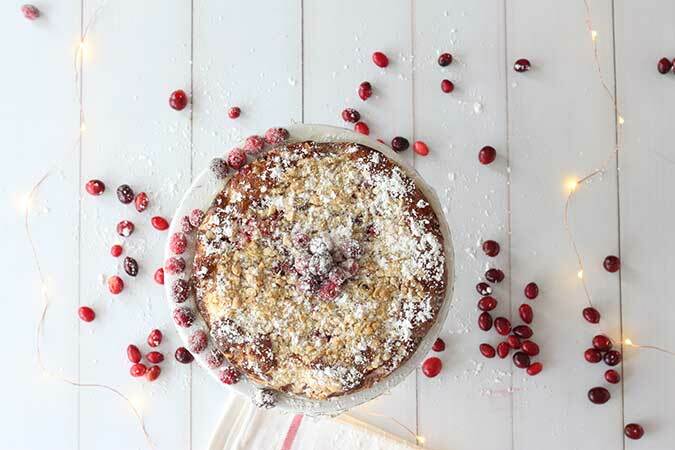 Today I wanted to share my recipe for this Christmas Cranberry-Orange Almond Cake that I make every year. This is a CROWD pleaser. 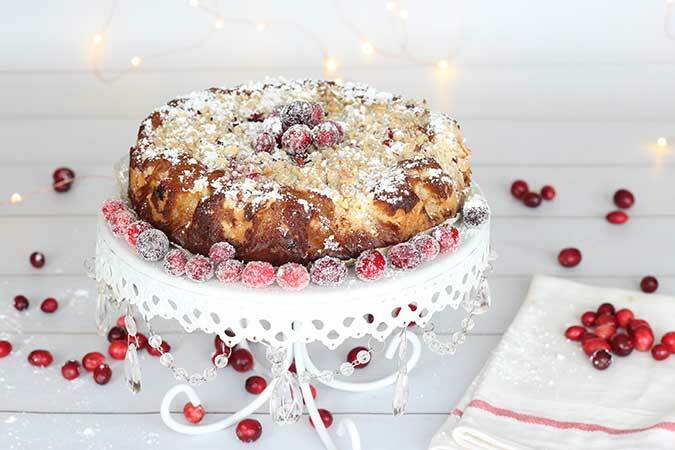 Every time I have made this cake, everyone goes crazy for it, especially my family. It is a mixture of sweet, but not too sweet, tart, citrusy, and the perfect hint of almond. It also looks absolutely gorgeous on your table. 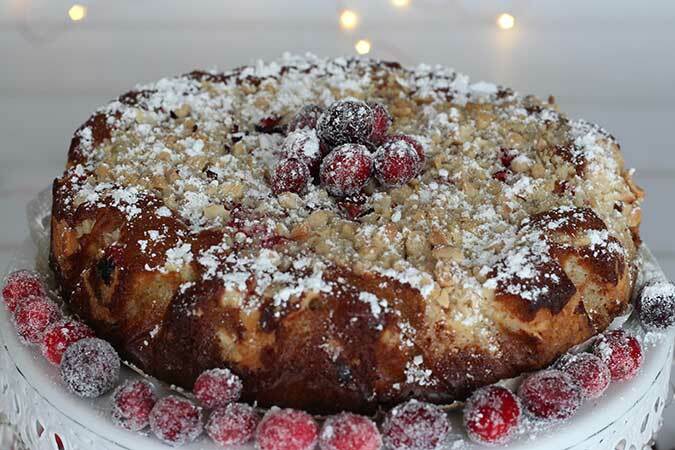 You can decorate it with some sugared cranberries on top of the Almond crumb mixture. 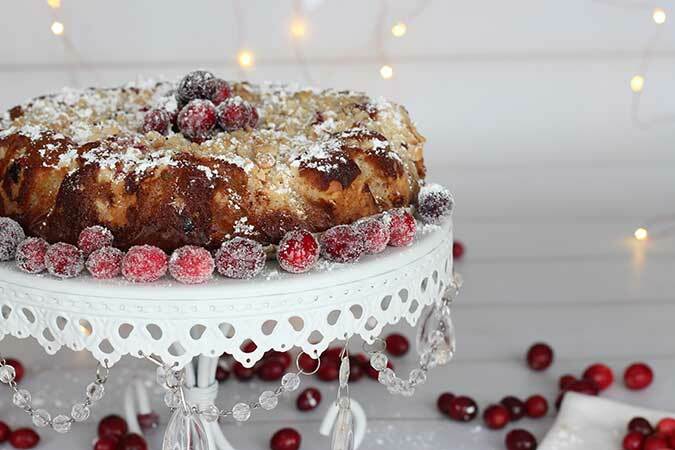 We had about 12 inches of snow last week and there is nothing more inspiring than to have the fireplace on, Christmas carols, scented candle and the smell of a fresh cake baking in your oven. I enlisted my 3 1/2 year old daughter to help with the cake before she went out with her dad to play hockey in the snow. She loves to bake and always says how one day, she wants to be a “cooker” on her own cooking show. She exclaimed “Mommy, this is the most amazing thing to cook with you!” She melts my heart. My 1 1/2 year old daughter is another story. When it comes to helping, all she wants to do is climb on the table and swing from the chandelier, literally. 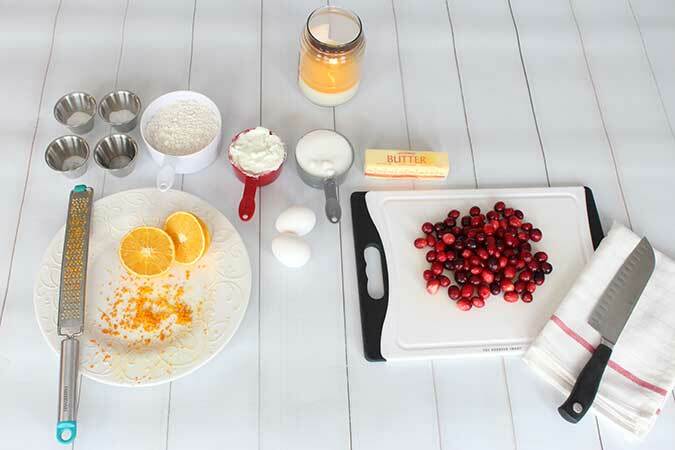 So back to the cake, below is the recipe. 2 cups chopped cranberries, divided. 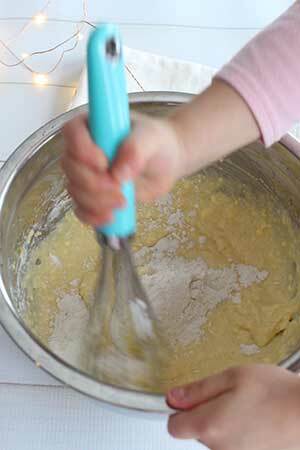 In a small bowl, mix together the melted butter, flour, sugar, cinnamon and salt until crumbly. 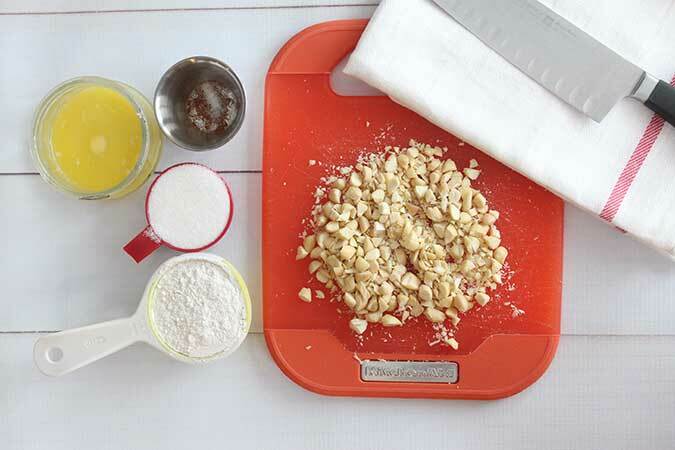 Use hands to mix in chopped almonds. Set aside. Preheat oven to 375F. 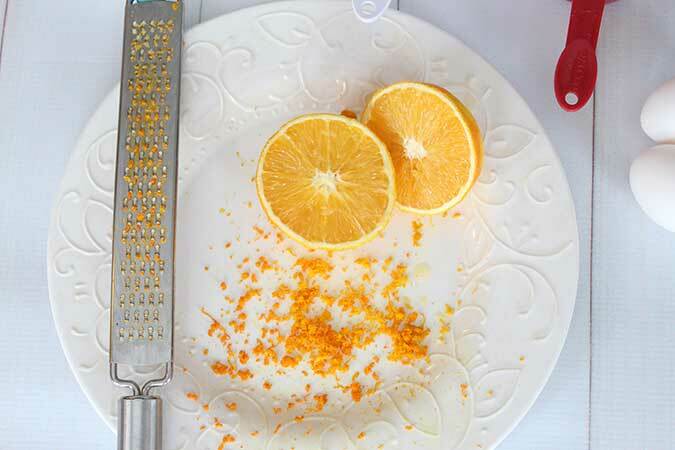 Grease and line with parchment paper a 9 inch springform pan..
Prep orange zest and save orange for the juice. 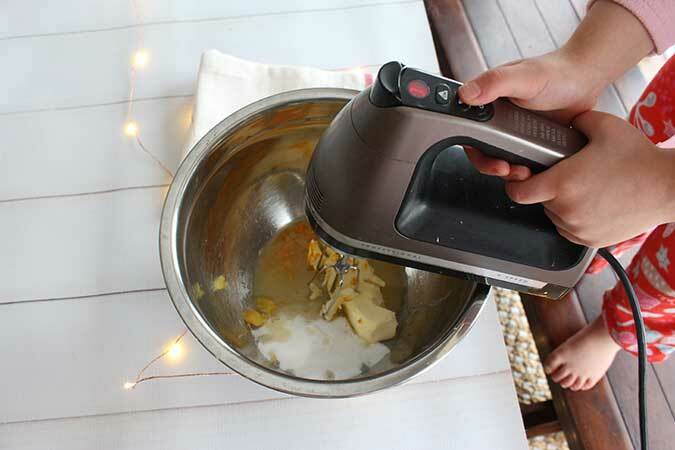 Mix in half the dry ingredients to the butter mixture, then mix in 1/2 the Greek yogurt. Repeat until the dry mixture and the Greek yogurt are mixed in with the butter mixture. 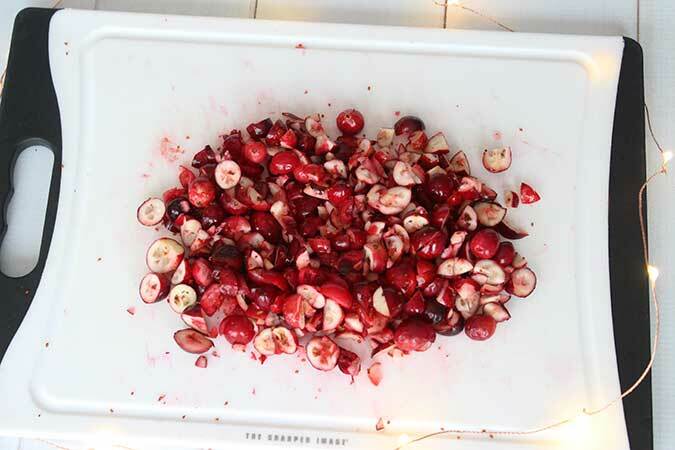 Fold in half of the chopped cranberries. Do not over mix. Pour batter into the greased and lined springform pan. 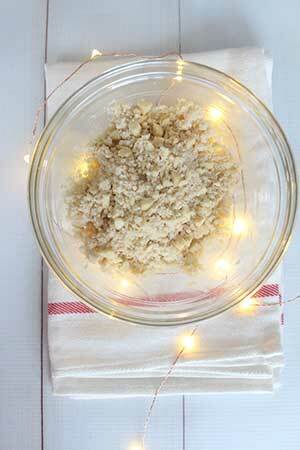 Sprinkle with the rest of the cranberries and Almond crumb mixture. I cut the excess parchment paper before I put it in the oven. Bake in oven at 375F for about 40 minutes or until toothpick comes out clean. Let cool for 10 minutes, then open springform pan, lift parchment paper out of the pan and let cake cool on a cookie rack. If the cake stays in the pan too long, the bottom will get soggy. 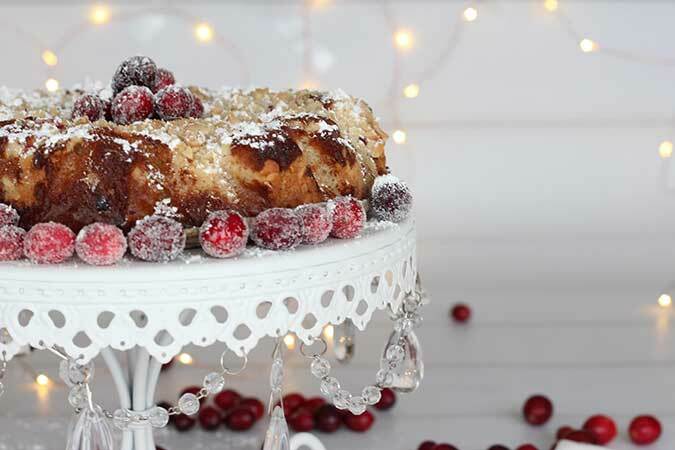 Before serving, sprinkle with powdered sugar and decorate with sugared cranberries. Mix water and 1/2 cup sugar on medium heat on stove for about 5 minutes. Then let mixture completely cool. 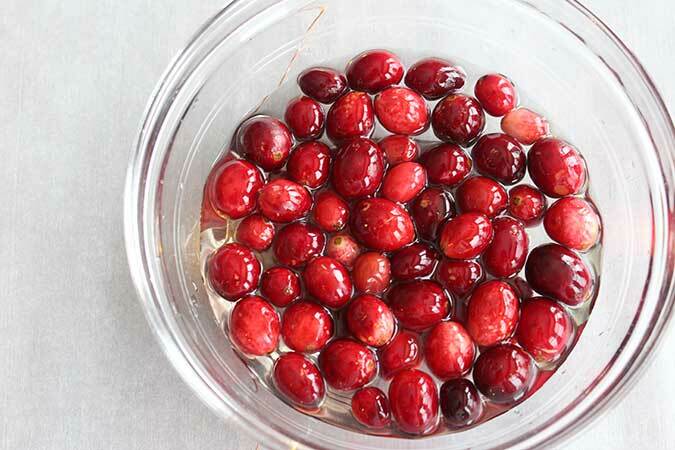 Dip clean and dry cranberries into the mixture for 1 minute. Then drain. 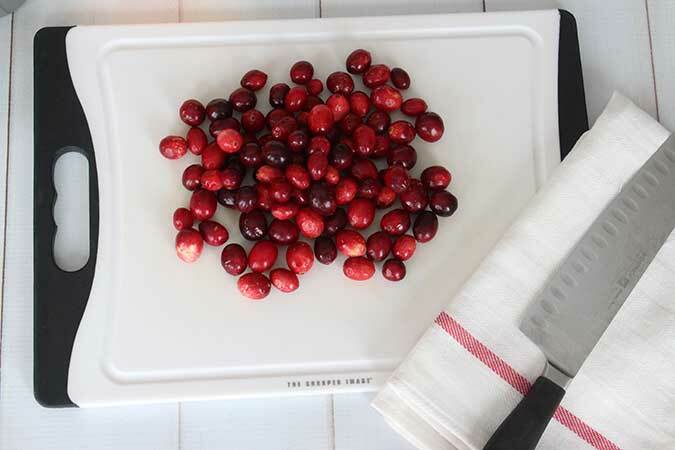 Let the cranberries completely dry on parchment paper. This may take several hours. 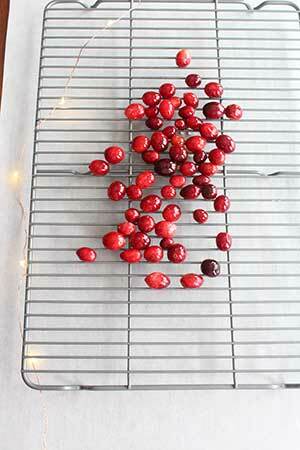 Once dry but sticky, roll the cranberries in sugar. Preheat oven to 375F. 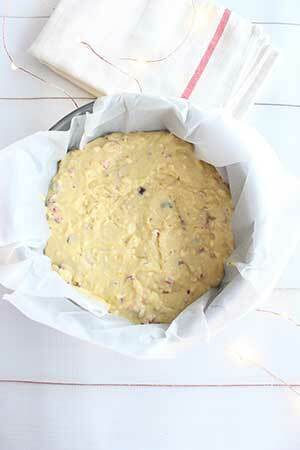 Grease and line with parchment paper a 9 inch springform pan. 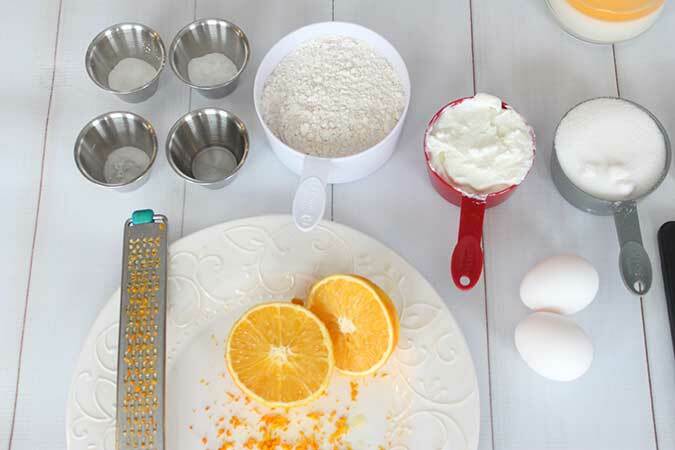 Beat together the sugar, butter, orange zest, orange juice and almond extract until mixed well. Beat in eggs. 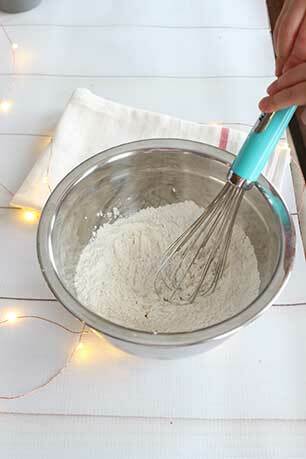 In a separate bowl, mix the flour, baking powder, baking soda and salt. Mix in half the dry ingredients to the butter mixture, then mix in 1/2 the Greek yogurt. 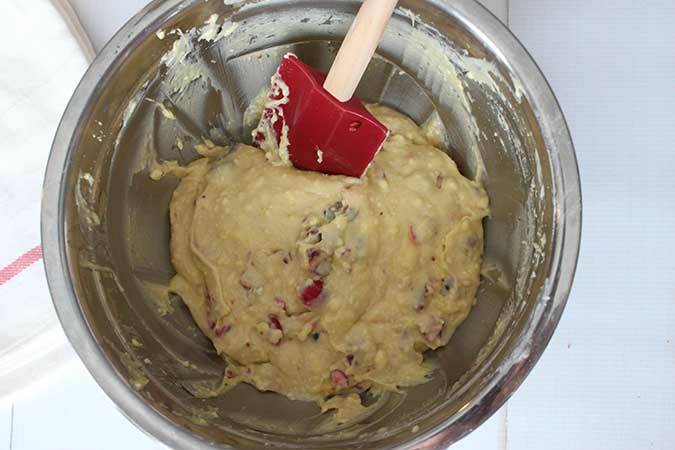 Repeat until the dry mixture and the Greek yogurt are mixed in with the butter mixture. 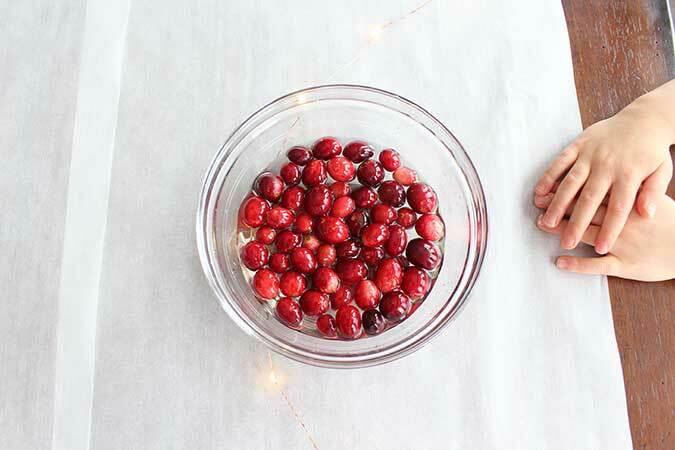 Fold in half of the chopped cranberries. Do not over mix. Pour batter into the greased and lined springform pan. 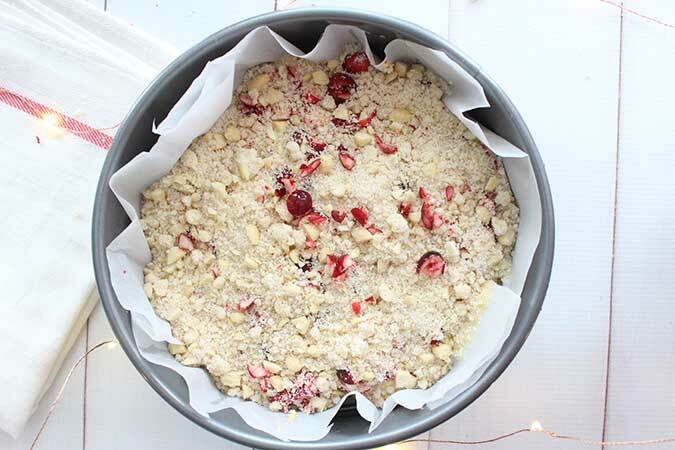 Sprinkle with the rest of the cranberries and Almond crumb mixture. This is beautiful and you are amazing!